How much time do you really waste in a day… ? 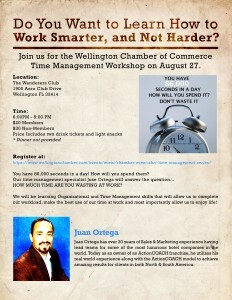 What are the top time wasters we do at work and how can we work smarter? We will be learning Organizational and Time Management skills that will allow us to complete our workload, make the best use of our time at work and allow us to enjoy life!